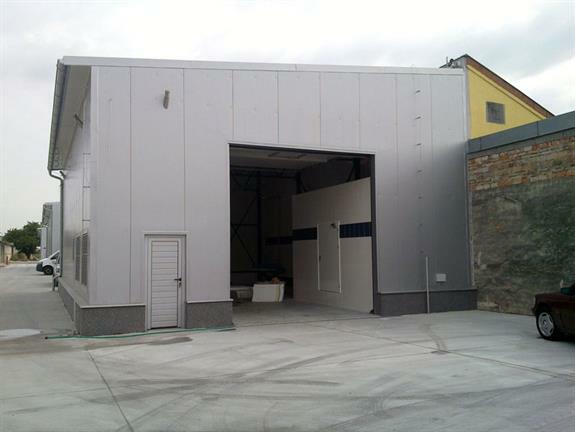 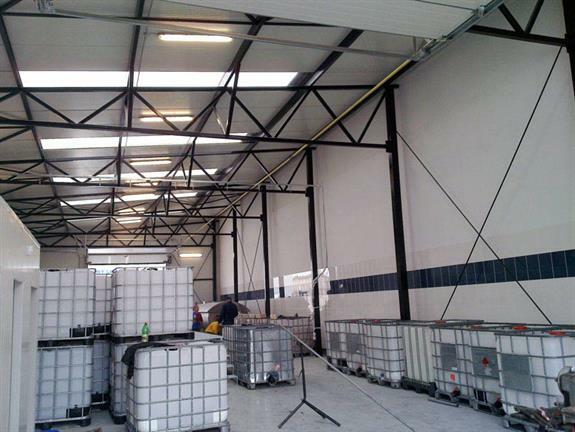 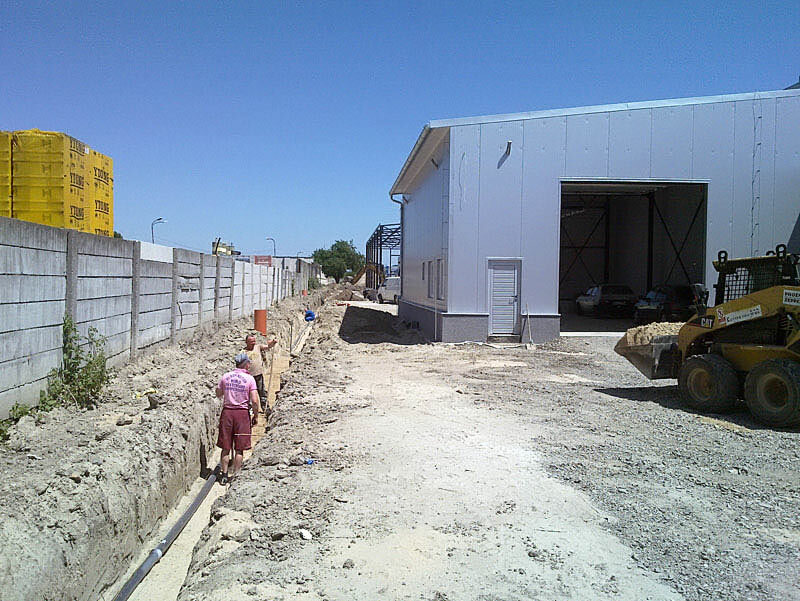 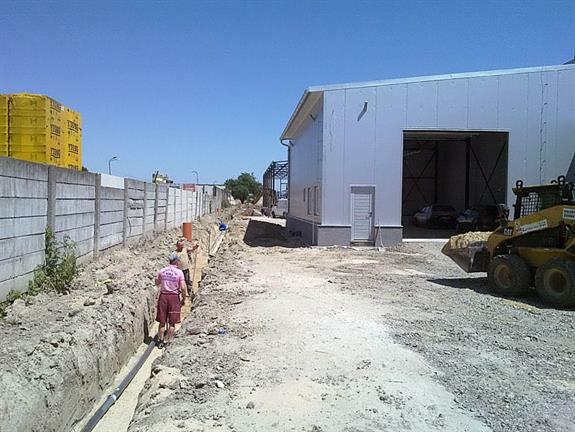 We designed a prefabricated hall with an area of 150 square meters near Bratislava, in the eastern part of Šamorín. The supporting system consists of a steel frame structure. 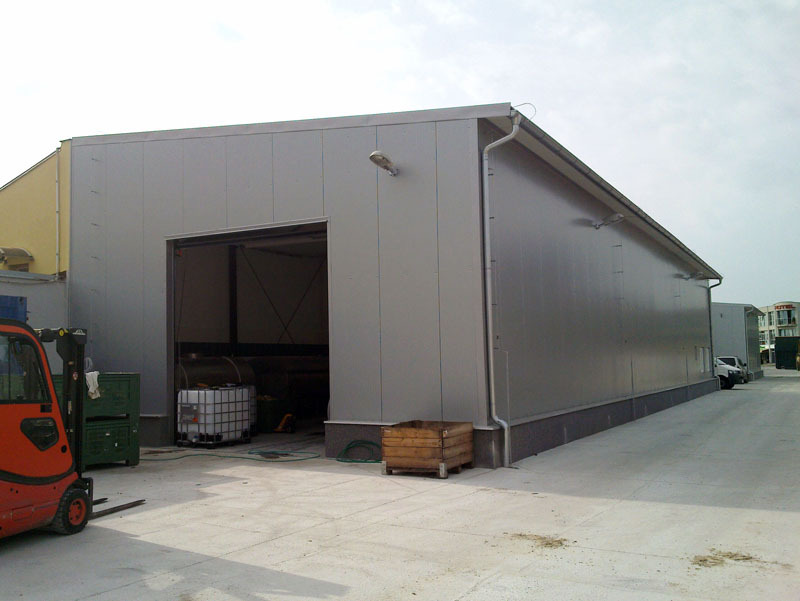 External walls are made up of sandwich panels insulated with polyurethane foam.